Several scholarships of up to $3500 are awarded annually. Applicants must be rising college juniors, seniors or Master's degree candidates in the fall of 2014 majoring in horticulture or related field. A 3.5 GPA or better is expected. 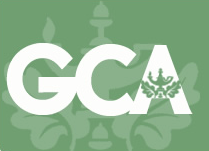 For more information and to obtain an application for this scholarship or other Garden Club of America sponsored scholarships visit: www.gcamerica.org.